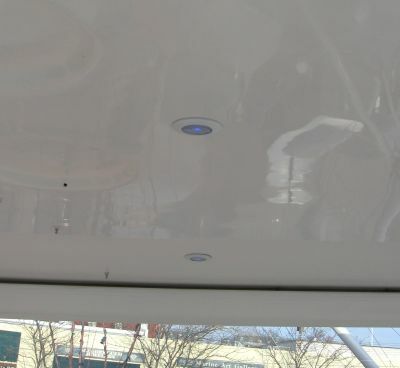 We installed Imtra LED lighting in the hardtop. These lights stay cool and we can switch from blue to white or both at the same time. The two pictured are over the helm and passenger chairs. We also have one over the map area and one over the fridge/bar.